Making Your Dreams Real & 100 Thank Yous! Readers and beautiful ones! I want to say thank you for buying more than 100 copies of The Amazing Adventures of Selma Calderón: A Globetrotting Magical Mystery of Courage, Food & Friendship! Since we published the book on August 8, I set a goal of selling 100 books by September 30. Whether you bought one, told someone about it or shared it on social media, thank you! You can read all about why I wrote the book on my new website here. If you want to know the answer to “What if you could travel the world, go back in time, and eat your favorite foods along the way, all the while unraveling the mystery of your missing parents?” click here. I’ve written this post with so much love and a desire to visit with you via video. That’s why I’ve compiled moments in the journey all together in this post. More than anything I hope this inspires you to go for your own dreams. No desire is too big or too small! That’s why I included a never-before-seen video of my own vision wall at the end. Here’s an appreciation video I made for you during my lunch break. As I mentioned in an earlier post, this beautiful story took me ten years to finish. To take you back to the moment we published the book, I’m sharing a video of me popping the cork to celebrate. 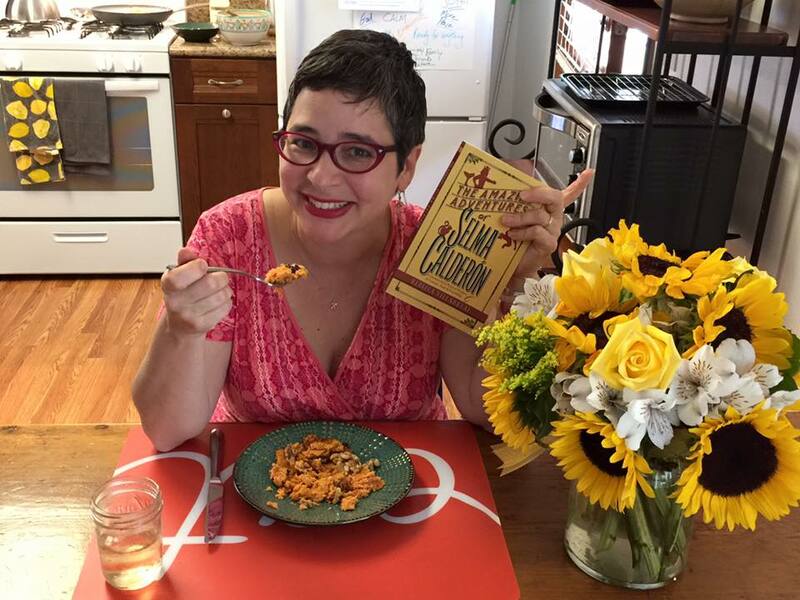 Here’s another video we created the weekend of publication which includes a delicious sweet potato pancake cooking lesson thanks to my favorite Life is Messy Kitchen cookbook by the amazing entrepreneur Mayi Carles. It’s been so rewarding to read a mom’s Facebook post telling me that her daughter is staying up wait too late because she can’t stop reading Selma. 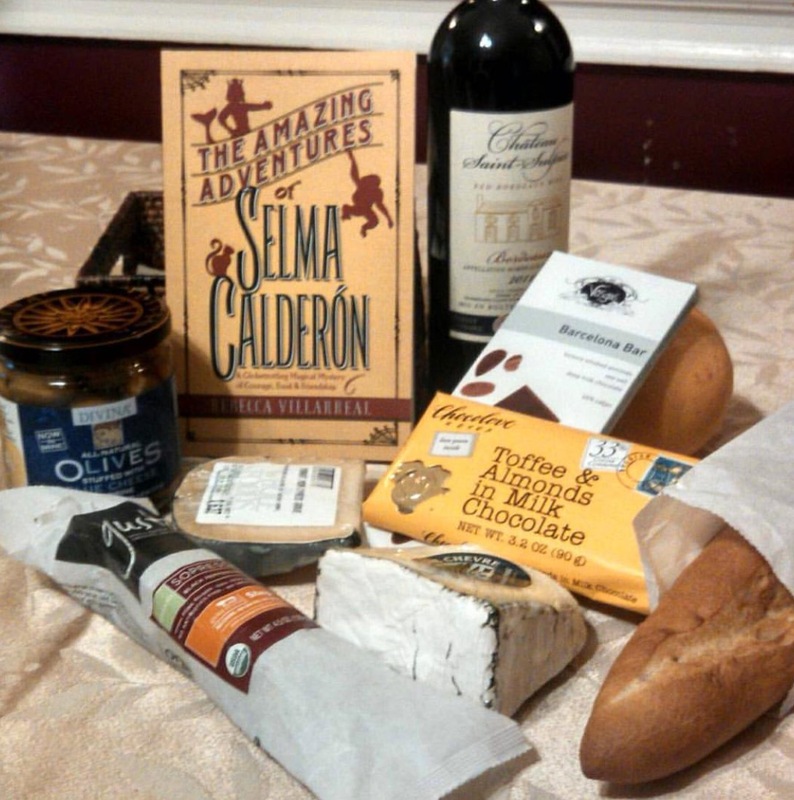 And for a reader to send me this picture saying that she made a date night just for herself alone to read the book. And speaking of stockings or Hanukkah or Kwanzaa or any holiday, we now have a team ready to send you signed copies! Please send an email to team@rebeccavillarreal.com and we’ll send you a form. The book is $12 and U.S. shipping rates for one copy are as follows: Media Mail $4; First Class: $5; Priority Mail: $8.50. Once we get your order, we’ll calculate shipping one or multiple copies to you and your loved ones. I’m a HUGE supporter of independent book stores. You can purchase Selma through your local independent books store by searching and ordering here. It’s also available on: Amazon, iTunes, Barnes & Noble and Nook. Stay tuned in the coming months, we’ll be announcing which organization shall receive 5% of all net profits from Selma! And here’s the treat I promised at the top of this post. Remember how I moved across country from Chicago to California? That was part of a very big and beautiful dream I held for 20 years. I kept wishing for it and working toward it. A key step in getting me closer to how I wanted my life to look was to forgive others and myself any and all hurts and disappointments. It sounds simple and we know it’s not but it clears the way for so much yes in your life. I wrote a post about forgiveness here and shared resources related to forgiveness here. The other way was to constantly declare my intentions either to my loved ones or to my broader family here on this blog. You saw me apply for a scholarship and very nervously and excitedly declare that I’d finish the book. The other thing I did was surround myself with images that supported my dream. Here is an intimate tour of my giant vision wall while which was built over time at my home in Chicago. I love learning about and creating my own rituals alone and with my family. Tonight’s a great night to do that. Or tomorrow night with the new moon. What if you took some time to write down a few old hurts rip them up and toss them in the trash then write some new gratitude lists or wishes for your new beginning? I’m on Day 53 of a #yearofgratitude. You can follow my journey on Instagram and start your own journey! Please keep sharing your Selma love with her magical hashtag #cucalacas! Thank you again for your generosity in helping my dreams come true. I hope my vision wall and these words open up a bright space for you to reflect and set some intentions for your best life ever! *P.S. A fun free tool to help you visualize how you want to feel is the Desire Map Core Desired Feelings library and graphic maker. I used the latter for my vision wall. **P.P.S. I can’t help but encourage you to read Big Magic by Elizabeth Gilbert and Rising Strong by Brené Brown. If you visit Brené’s site, watch her brief book trailer video including the Manifesto of the Brave and Brokenhearted. And I can’t help sharing her interview on Oprah’s Super Soul Sunday. I broke through some MAJOR fear when I watched it. Enjoy! Oh sweet and amazing partner in leaping, thank you for witnessing, supporting, celebrating with me! I really appreciate you! Yes to more champagne moments! Today’s post really felt like the pause and weaving I needed to say wow! We did it!